Did you know inflammation is the basis of both pain and chronic disease? Decreasing inflammation takes a multi-pronged approach. 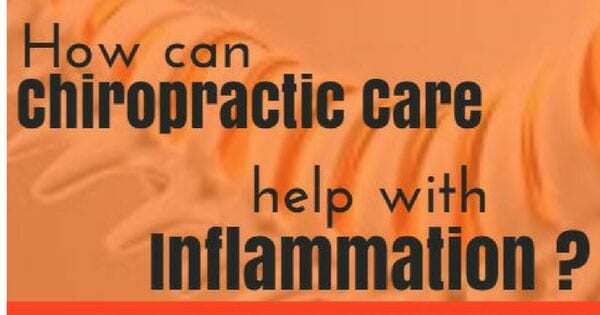 This includes both physical medicine like chiropractic adjustments and functional medicine to balance/heal the internal systems causing inflammation. Your nervous system is the master control system for your entire body. Nothing happens in your body that doesn’t require your nervous system. Likewise, nothing happens in your body that doesn’t affect your nervous system. The nervous system is the network of nerve cells and fibers that transmit all signals throughout the body. The entire central nervous system (CNS) is housed and controlled by the brain and the spine with nerves coming off each segment of the spine. The alignment of each segment of your spine promotes or inhibits good nerve signaling to each area of the body. Subluxation is the chiropractic term for misalignment of spinal segments (vertebrae). When areas of the body get faulty or weak signaling due to subluxation, they cannot function properly and the body begins to compensate. Any compensation by one area of the body for another will put undue stress on that area and create inflammation. This can come in the form of pain, or body systems functioning sub-optimally. Adjustments by a chiropractor keep the spine in good alignment which promotes optimal signaling and decreases inflammation. The immune system is another major player in inflammation. The immune system is also much more complex and robust than just fighting off germs. The level of inflammation in the body directly affects the ability for the immune system to do it’s job effectively. Chiropractic adjustments help to fight against acute and chronic inflammation. A key way this happens by a decreased production of cytokines. Cytokines are markers of inflammation that increase and decrease based on inflammation in the body. TNF-a and IL-b are two cytokines studied that decreased (this is good) after spinal adjustments. This decrease was compared to a group of people who had no physical spinal adjustment, but thought they were (placebo). Blood levels were checked in each group to find these changes in cytokines. In a different study, CRP (c-reactive protein) and IL-6 (another type of cytokine) both decreased in the group that was adjusted. Chiropractic care aligns your spine to produce optimal nerve signaling through the body and also decreased inflammation. This is a vital part of wellness you do not want to miss. Our practice specializes in chiropractic care. Your initial evaluation includes physical examination, x-rays, and consultation of our experienced team to develop the right plan for you. Each plan is customized to your needs. We are not a one-size fits all practice. We personalize your care and have options available to help save you money as we get you well. Inflammation cannot resolve without a healthy nervous system. This is why we combine chiropractic care with personalized functional medicine to treat the whole you. Contact us now to schedule your evaluation. Richard A. Roy,a,b Jean P. Boucher,c and Alain S. Comtoisd. Inflammatory response following a short-term course of chiropractic treatment in subjects with and without chronic low back pain. J Chiropr Med. 2010 Sep; 9(3): 107–114. Teodorczyk-Injeyan JA1, Injeyan HS, Ruegg R. J Manipulative Physiol Ther. 2006 Jan;29(1):14-21.Spinal manipulative therapy reduces inflammatory cytokines but not substance P production in normal subjects.